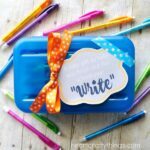 Planning a fun back to school party for your kids before school starts, or looking for a fun last minute activity to get them excited for the new school year? 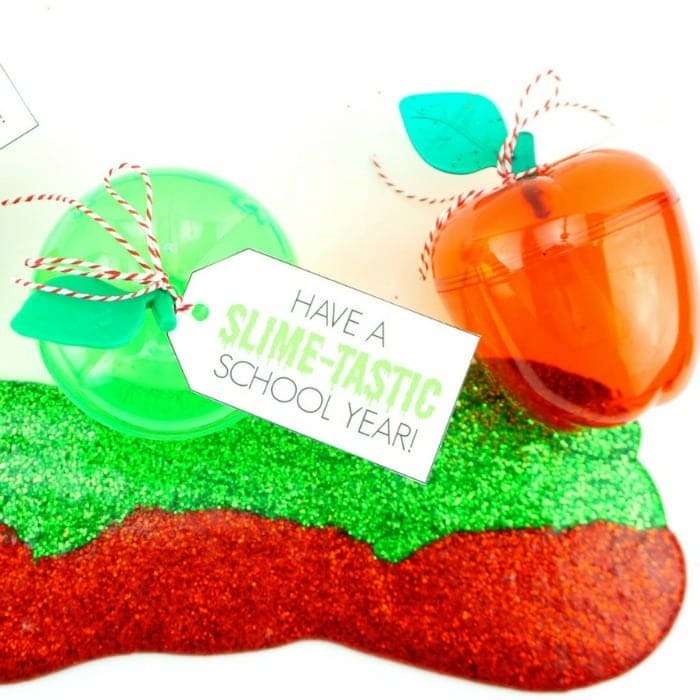 These back to school slime party favors are a perfectly festive way to gear up for back to school! We are sharing the complete recipe, gift tag and how-to over at Oriental Trading’s idea website, Fun365.com. 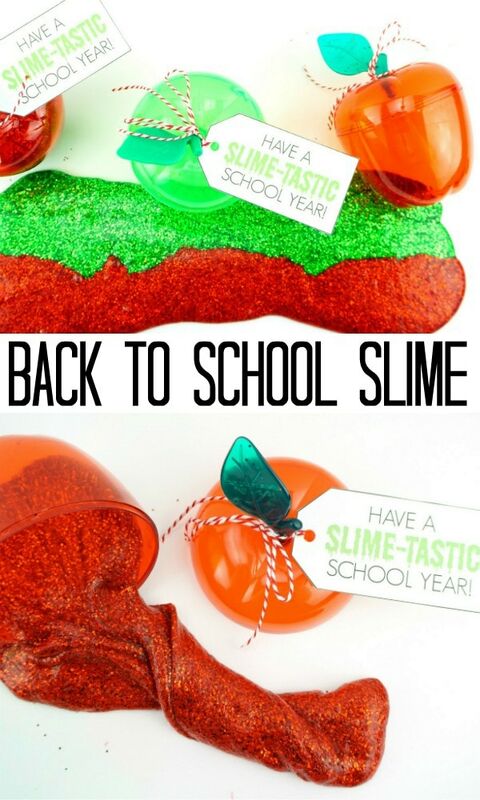 Whether you make them as an activity at a back to school party or just as a fun activity at home with your kids, these slime party favors are sure to be a hit. What brings these fun slime party favors over the top is Oriental Trading’s darling apple containers. They come in both red and green so kids will love getting to choose between green glittery apple slime or red glittery apple slime to add to their container. 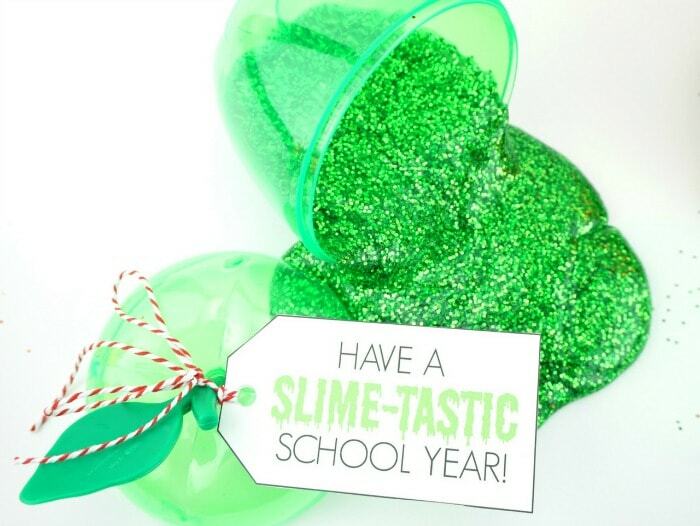 Our printable gift tag adds a perfect final touch to the slime party favors, wishing children a slime-tastic school year. Our slime recipe is super simple to follow with only a few ingredients so kids will love diving right in and making their slime. The finished slime is brightly colored and oh so ooey and gooey. Kids will love playing with it! When they are finished they simply place the slime back into their apple container and save it to play with later. Looking for more back to school fun? Cherish first day of school memories by making a darling back to school school bus photo frame. Each frame is personalized with a child’s photo so parents and kids can cherish it for years to come. One of our favorite back to school books is The Kissing Hand by Audrey Penn. Here is a darling newspaper raccoon craft that ties in perfectly with the book. 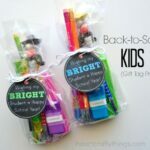 Want to add a cheerful surprise to your child’s lunch on the first day of school. 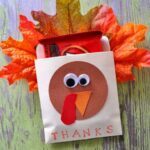 Try making some of our silly face sandwich bags!